Normally I dedicate this portion of the review to source pairing. However, this headphone makes that difficult. As I mentioned at the beginning, it’s really made for full-size desktop amps. I happen to have two of those, on-hand. My Audio-GD NFB-28, and the Cayin iHA-6. Both are more than enough to drive the DT770 Studio to its fullest. And both made the Beyer sound fantastic. I haven’t done any direct comparisons between these two amps—yet—but I would gladly take either of these in a heart-beat. Very powerful. Very revealing. Very clean-sounding. 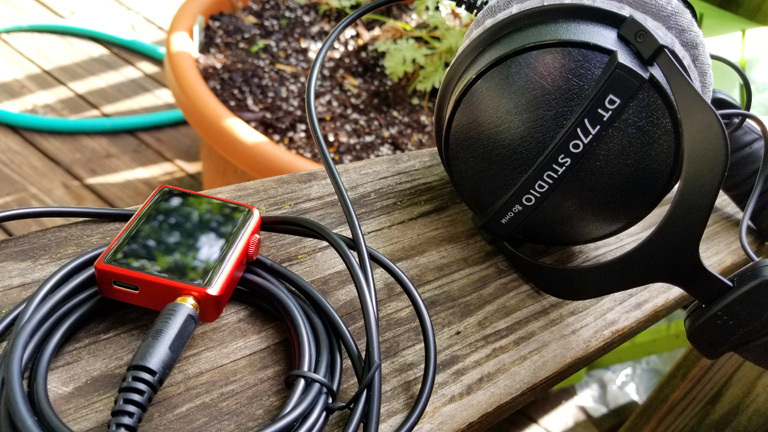 Of course, what’s a headphone review without a mobile pairing? Audiophiles have a long and proud history of taking cans that belong at a desk out into the world. So I went as silly as I could, with the Shanling M0 ($99). This little f**ker got the Beyer loud enough, and its warm, dynamic tone played well with the Studio signature. Nonetheless, I did not hear the qualities which so impressed me from my NFB-28. The bass went soft and flabby. The resolution went way down, and clarity took a hit. What I can I say? These cans thirst for more potent juice. Still… in a pinch, this setup works… kinda. Much credit to Shanling’s newest kid. There you have it. The perfect studio monitor. So perfect, it fights against any other role. It knows what it is, and wants only to live out that ambition. I’m honestly tempted to buy the DT770S for whatever discount Beyer can muster. But I keep reminding myself, I have no need for perfect mixing monitors. The only mixing I do is a podcast, where I could give a f**k if the EQ is spot-on accurate. Goddamn, though, these things have a special appeal for that use. Anything that does its job this well deserves respect. 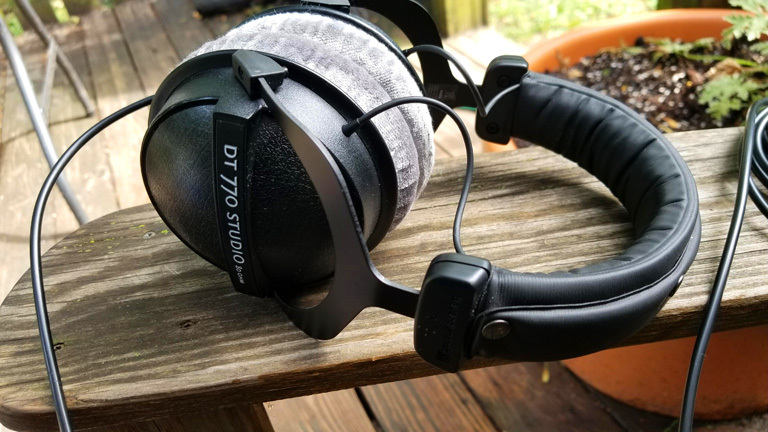 The Beyerdynamic DT770 Studio has earned it. 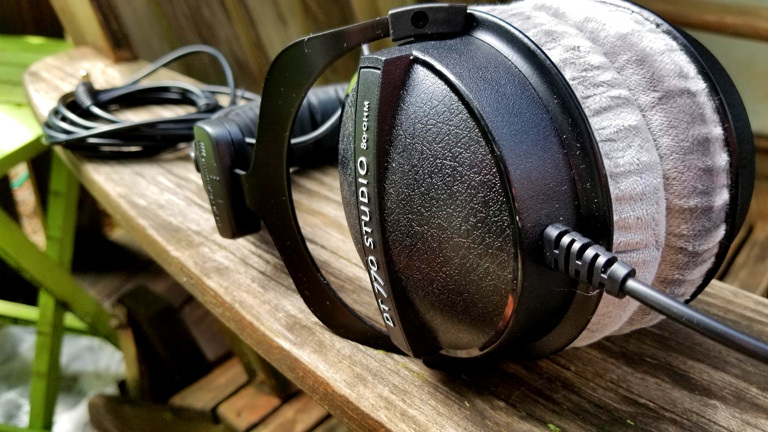 Completely the best headphones! I got it as a gift for my girlfriend. I gave them a shot after he responded saying that they are great. I attempted them and now I am putting it on my list for Christmas. I prescribe this to any individual who is real big into listening to amazing music!